Whether your bathroom is ready for a complete makeover or just a new refreshing look and updated appearance, Stone Leaf Remodeling can help! 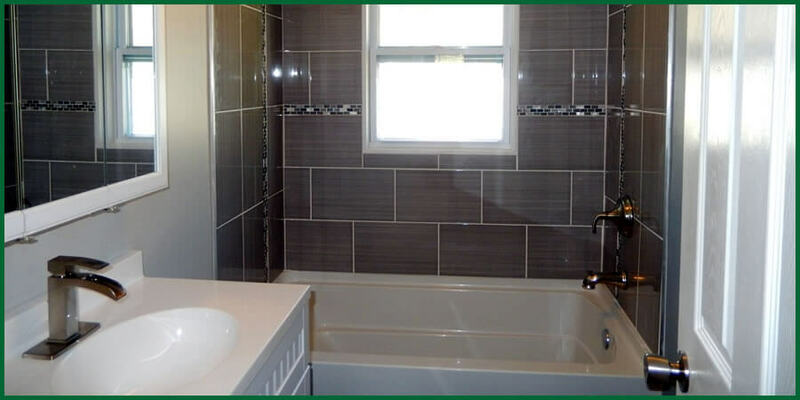 We offer complete bathroom remodeling services and have over 45 years of experience in the remodeling industry. Our team of professionals will help you realize the bathroom of your dreams, and at a price that is affordable. Although the bathroom is one of the busiest rooms in the house, it’s often one of the smallest and least convenient. The remodeling experts at Stone Leaf Remodeling will carefully evaluate the way you use this important area and then suggest improvements that will help you open up space for grooming, storage and relaxation. A beautifully designed bathroom is an asset to your property. Whether you plan to put your home on the market soon or live in the house indefinitely, Stone Leaf Remodeling will make sure that your East Troy bathroom remodel will continue to pay off for years to come. What sets Stone Leaf Remodeling apart from other remodeling companies in East Troy are old-fashioned values like honesty, respect and service, we approach every job as a top priority. Every member of our team will work with you to make your bathroom remodeling project flow as easily as possible. Some contractors will start a bathroom renovation then disappear for a few weeks, leaving the space cluttered with debris. At Stone Leaf Remodeling, we’ve never stopped respecting the basic rules of home improvement, like cleaning up the job site at the end of the day and finishing our projects on schedule. As licensed contractors in the state of Wisconsin, we take the guesswork out of your project by designing bathrooms that comply with local construction codes. We’ve earned our reputation as a leader in East Troy bathroom remodeling through years of dedication to home improvement. Let us use our expertise and knowledge to give you a bathroom that truly adds value to your home. Bathroom Remodeling in Racine County includes Waterford and the surrounding areas. Bathroom Remodeling in Rock County includes Beloit, Janesville and the surrounding areas.